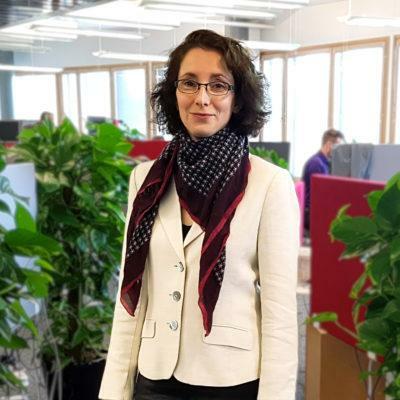 Director, Health and Electronics, Ph.D.
Pirjo Pasanen is the Director of the Health and Electronic team at Spinverse and the service leader for EU-projects. She has long industry experience in nano- and information technology research and managing collaborations between industry and academia. Her main expertise is in nanoelectronic systems, novel nanomaterials, and finding applications for new nanotechnology breakthroughs. Her recent projects have covered topics from industrial innovations in plasma technology to low-cost MEMS manufacturing. Before, she was working for Nokia Research Center (2000-2011) doing research on nanotechnology, designing new 4G radio communication systems and doing reliability assurance and statistical analysis for mobile phone production. Pirjo holds a PhD in Theoretical physics from Helsinki University. She has over 10 scientific publications on nanotechnology, radio communication systems, information theory and mathematical physics, several other technical articles including two book chapters, and over 20 patent applications. At home, she is kept busy by her two sons, a dog and a husband. In her spare time she would enjoy gardening, rock climbing and reading.